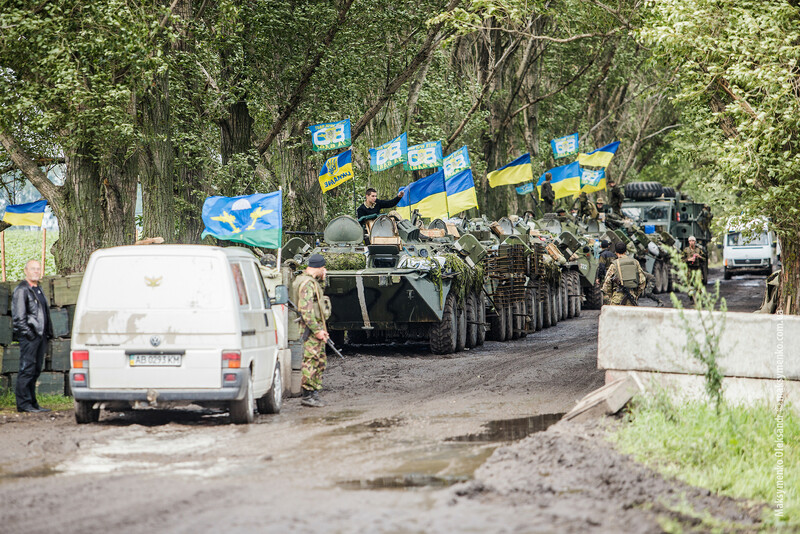 Ukrainian soldiers around the city of Slovyansk. By Sasha Maksymenko. On September 3, the Ukrainian government adopted a new national defense strategy set on increasing military spending on weapons and military. Many US experts and officials have also focused their efforts to pressure the Obama administration to provide arms to Ukraine. However, many Ukrainians see another path for dealing with Russia’s armed aggression and occupation: civilian-led nonviolent resistance such as a recent series of nonviolent road blockades by Ukrainian activists and Crimean Tatars to stop Ukrainian companies from trading with occupied Crimea. Since the onset of the conflict in the Donbas, Ukrainians have shown themselves willing to take up arms to defend their families and the country’s territorial integrity. However, no earlier opinion polls gave the respondents the choice of another path of struggle. A recently released national survey from a representative sample of 1000 adults conducted by the Kiev International Institute of Sociology (KIIS) is the first to assess Ukrainians’ preferences for nonviolent resistance. 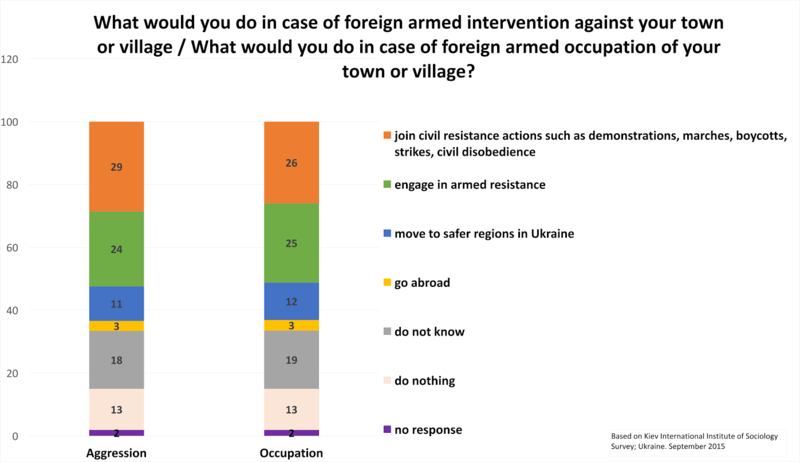 When asked how they would respond to foreign armed intervention or occupation of their places of living, the largest number of Ukrainians chose nonviolent resistance as the main strategy. See Figure 1 (click on graphs to enlarge). 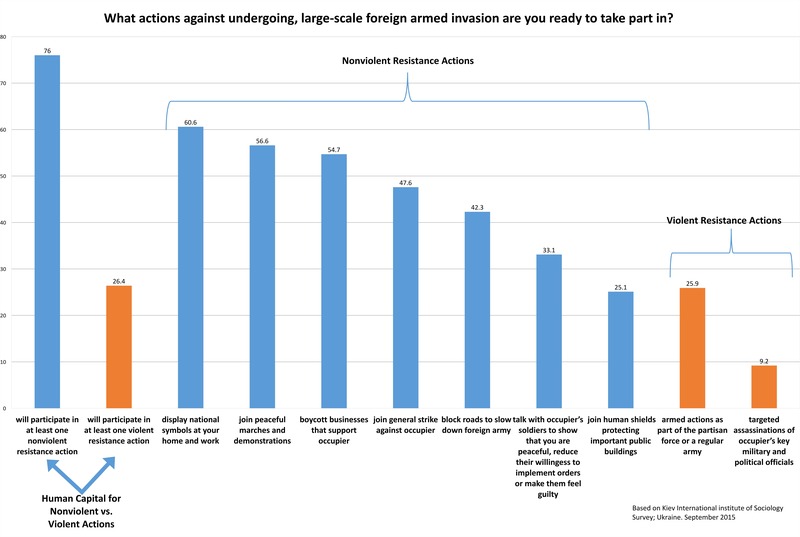 Furthermore, more than one third of Ukrainians also think that nonviolent civil resistance could be an effective means to defend their communities against militarily more powerful foreign adversaries. See Figure 2. Ukrainians are aligned with their government on the end goal of the struggle against Russian aggression: full liberation of both the territory and the people of Crimea and the Donbas. But they disagree on the means to reaching that ultimate end: twice as many Ukrainians believe that negotiation is the main means rather than arms. Most Ukrainians believe that the liberation struggle to win back the separatist-controlled regions in Donbas and occupied Crimea (40% and 44% respectively) will succeed when Ukraine moves forward on political reforms and reestablishes economic growth to raise the standard of living in the government controlled area – a strategy similar to West and East Germany during the Cold War. Looking at lessons of history, more than one third of Ukrainians acknowledged their familiarity with the nonviolent mobilization and civil resistance of Donbas miners in the struggle for Ukraine’s independence between 1989-1991. Among these respondents, twice as many thought that similar actions today would be helpful in bringing about political change in the occupied territories of Donbas and Crimea. Despite heightened patriotism, the government’s call to arms, and growing military drafts, Ukrainians remain skeptical about joining violent actions to defend their country. Less than one fifth of Ukrainians are ready to participate in armed resistance while 65% Ukrainians refuse to join any armed action. 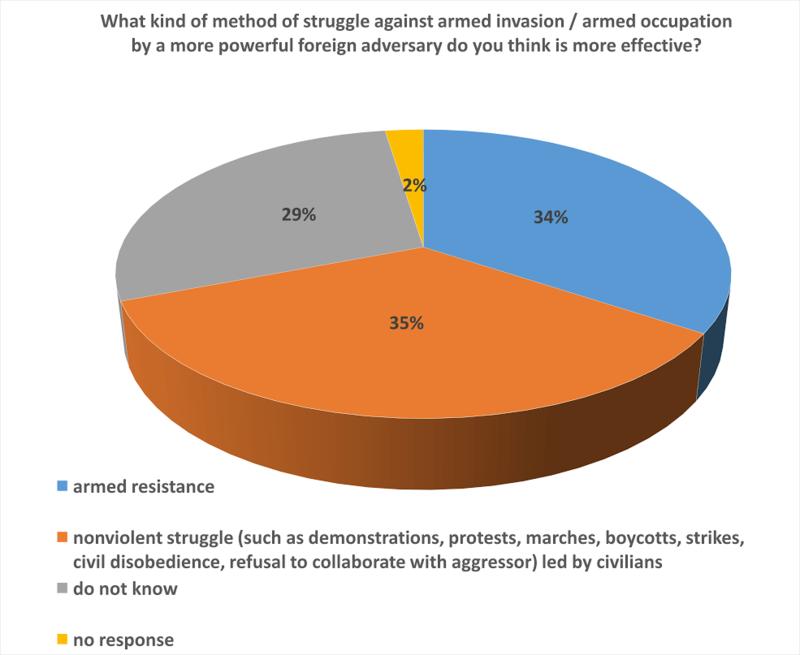 In contrast, the human capital for nonviolent resistance – in the form of strikes, boycotts, marches, slow downs, stay aways, and refusal to work for and/or or pay taxes to occupation authorities – is three times higher than for the armed struggle. See figures 3 and 4. More than half cite the display of Ukrainian national symbols and participation in peaceful demonstrations as the most preferred method, followed closely by various types of political, economic, social, and cultural boycotts – actions that provide a variety of resistance methods and which are considered less vulnerable to repression and require less preparation. In a recent interview, the Ukrainian president, Petro Poroshenko, called for more arms to “create an effective defense force.” He also declared that the military threat from Russia will remain constant for decades and that “every generation of Ukrainians must have army experience.” If anything, the survey shows that Ukrainians do not necessarily favor militarization and would benefit more from nonviolent civil resistance experience, as many of them are ready to fight without arms. The Ukrainian government is not entirely ignorant of the possibilities of nonviolent resistance. More than a year ago, Poroshenko called on the people of the Donbas region to engage in “civil disobedience to the so called people’s republics.” This call, however, was not backed up by any specific guidelines or planning on how to organize for – and execute – this type of resistance. The results of the KIIS survey indicate the impressive potential of the Ukrainian population for nonviolent resistance and the unique opportunity to engage government and civil society actors around new national defense mechanisms based on civilian mobilization. 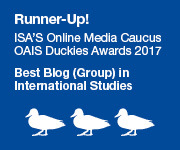 The KIIS findings suggest that Western policymakers could more closely align with preferences of the Ukrainian people if they acknowledged alternative strategies (that do not require weapons) for defending the country. This requires an acknowledgement that modernizing Ukraine’s army, while needed, is not a blanket solution for the conflict – rather, an investment in nonviolent resistance training and education for the population at large could prove a viable part of the national defense strategy. History is filled with oft-forgotten or unacknowledged stories of nonviolent resistance against foreign occupation that can be useful in recognizing the power of nonviolent resistance. Examples of the integration of nonviolent defense into counter-strategies against Russian hybrid warfare as well as ISIS do, in fact, exist. 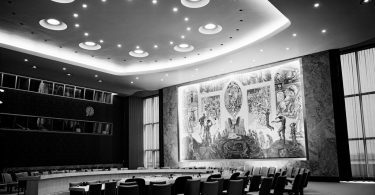 Policymakers could expand their policy options if they moved beyond a narrow focus on preparing for armed conflict and engaged in more robust conversations about how to utilize human potential for mass-based, organized nonviolent defense and resistance. Although Western and Ukrainian policymakers focus their energy and resources on modernization of the Ukrainian army, this constitutes neither a silver bullet for winning a costly, protracted struggle for liberation nor a strategy towards long-term resolution of the conflict. If anything, the survey results demonstrate the need for Western allies to harness the untapped, nonviolent force of the Ukrainian population. This will necessitate an investment in training Ukrainians how to conduct mass-based, disciplined civil resistance – an action that many Ukrainians consider effective and one which they are ready to employ. Maciej Bartkowski is an adjunct faculty member at the Krieger School at Johns Hopkins University and a book editor of “Recovering Nonviolent History: Civil Resistance in Liberation Struggles”. Alina Polyakova is associate director of the Ukraine Initiative at the Atlantic Council in Washington, DC. Her book, “The Dark Side of European Integration,” is coming out in late 2015. Interesting post; it’ll be revealing to see how long and how effective such resistance is. One thing, however. The graphs are pretty awful. Pie graphs shouldn’t be used in any circumstances; it only gets worse when – shudder – the graph is 3-D. The bar graphs are almost as bad; they’re very hard to read. Why not just use a table instead? Well, enough crabbing. Thanks for reporting such informative results. Tracy, Thanks. The graph images can actually be enlarged to get their true – and crispy – resolution. Just click on any of them. Great survey, this is how it should be done. Shame they weren’t able to poll residents of Crimea. Civil resistance to an authoritarian regime is one thing, but civil resistance to a foreign armed invasion is a very different matter. I’d like to know of any invasion, ever, that’s been stopped and undone by civil resistance. East Timor is an example of a civil resistance movement that succeeded in expelling the invader. Armed struggle was a minor component. The Baltics after decades of occupation by the USSR expelled their invaders. Vieques expelled the US navy. the British invaders were kicked out of India and Burma and much of Africa. Need any more examples? You’re redefining a foreign invasion in ways that are untenable. As I already said, I said, civil resistance to an authoritarian regime is very different from civil resistance to a foreign armed invasion. Civil resistance was of no use when Indonesia invaded and annexed East Timor. The civil resistance that occurred in East Timor 24 years later was resistance to an authoritarian regime. Similarly, in the Baltic countries, no civil resistance was able to stop the Soviet invasion and annexation of the three states. They remained part of the Soviet Union for six decades. The civil resistance that occurred in the late 1980s and early 1990s was resistance to an authoritarian regime. The same is true of the other cases you’ve cited. Civil resistance there was not against an invasion. You could make an argument that Russophone Ukraine is in a similar category, as the invaders have been there for decades if not centuries. Anyway, the message I am getting from this article is not an evaluation of how effective non-violence is, but rather, (1) that non-violent actions are an overlooked preference of a good chunk of the population in a civil-war-like conflict situation, and (2) that the way to not overlook it is to ask the multiple-choice question rather than the yes/no question. Invasion cannot be separated from occupation. After all, if occupation is not successful in extracting expected material and non-material value out of the whole operation, what does that say about the success of the invasion itself? Just consider, Iraqi invasion and the subsequent occupation of the country (or Afghanistan). Eventually, the success of invasions is judged by what follows next. I do not think that you question about whether any invasion was “stopped and undone by civil resistance” should preclude examples of effective cases of civil resistance to occupation. Furthermore, in cases where civil resistance was absent or used by failed during full scale invasions had the armed defense proved more successful? Also, historical examples are not favoring armed resistance against invasions by much more powerful adversary either. Consider Poland in 1939, Afghanistan in 1979 or Iraq in 2003. This however does not mean that during the occupation phase such strategy would not have been more effective. Your definition of effectiveness “stopped and undone” is unnecessarily limited to a physical victory. 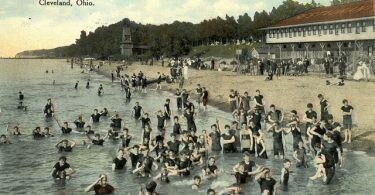 However, even though an invasion might not be physically stopped in a short period (e.g. German invasion of Denmark in WWII) but succeeds in depriving the occupier of material gains, its ability to claim that the invasion is a long-term success while it increases internal cohesion of the occupied population (all of which happened within two years after the invasion of Denmark) such invasion and occupation can hardly be called effective/successful even if the occupying military is in control of land and formal institutions. In that sense, the Danish civil resistance is a good example of the effectiveness of this type of struggle against both invasion and occupation, particularly in comparison with how (in)effective Danes would have been had they decided to rise up with arms against the German army. Another example is Czechoslovakia in 1968, particularly if compared with Hungary in 1956. Neither predominantly armed (Hungary) nor largely unarmed (Czechoslovakia) resistance stopped the Soviet Union-led invasions. However, the Czech & Slovak resistance that aimed to isolate aggressor and deny it any resources (personnel, goods, communication/media) significantly delayed the implementation of the Soviets’ occupation plans. Soviets envisaged it would take them 4 days to establish both military and political control over the country- afterall it took them only 6 days to crush Hungarian armed resistance. In reality, it took the Soviets almost 8 months to pacify Czechoslovakia – much longer than would have been the case had the resistance been violent. Czechs and Slovaks preserved their national fabric and proved to be ready to re-engage in nonviolent resistance throughout the 1970s and 80s. In contrast, a traumatized Hungarian society felt silent for the next three decades and did not manage to launch any significant dissident movement until 1987-88 when the change was already in the air. Resisting foreign aggression should not be viewed merely as a visible confrontation with ongoing military operations. In fact, the cases of the German nonviolent resistance against the French occupation of the Ruhr (Ruhrkampf), the Czechoslovakian nonviolent resistance or even the Polish Solidarity struggle against their domestic authorities who were backed up by 100,000 Soviet troops stationed in Poland that time, show that resisting non-military operations by a local civilian population offers many more opportunities for denying the benefits of the occupation (and by extension of the invasion), and quickly hollowing out the legitimacy of the occupying authorities or their domestic proxies, making their control unsustainable mid and long-term.